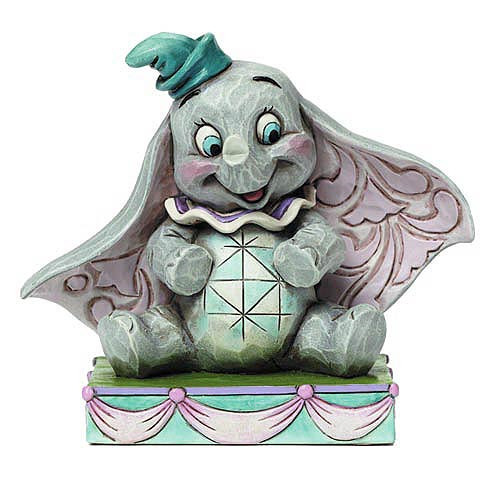 Baby Dumbo's sweet smile and innocent wide eyes are perfectly captured in this Disney Traditions statue. Imagined by Jim Shore, Dumbo is made of stone resin. Dumbo stands 3 1/4-inches tall. For ages 14 and up.